Due to Limited Run raising their prices by an egregious amount, we will not be taking orders directly through the site. 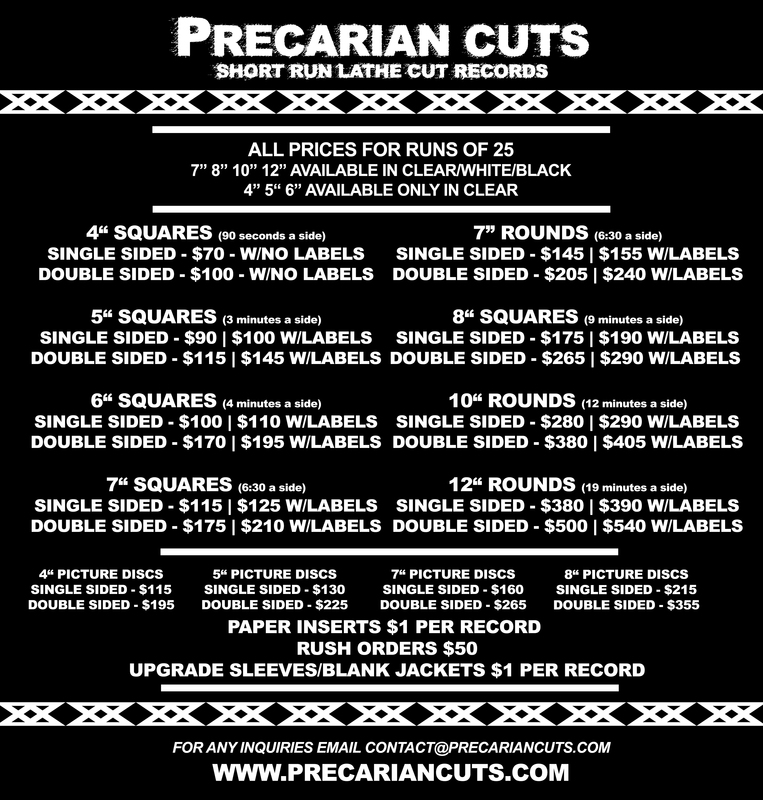 Please browse the products, look at our price sheet, and then send an email to contact@precariancuts.com and we'll process your order through email. RUSH JOBS ARE AVAILABLE FOR $50. WE ARE CURRENTLY ON A 5-7 WEEK TURNAROUND.